Erin Beattie & Laura Prudhomme are Loving Fiercely. There are women in this world who possess an unmistakable and ferociously soft way. With it, they go about the essential work of nurturing humanity. It is no small task. Women like this are not usually found in the limelight, as they have important work to do. They are the magicians who know the power of a light heart and understand the reverberant effect of slowing down to care for one human body at a time. "I think of my job as 'How many ways can I hug someone?'" says Erin Beattie ("Beattie"), LMP, CHP, and Structural Integration Therapist. She is co-creator and one-half of the small but immensely felt yoga and bodywork collaboration in Seattle, Loving Fiercely. The other half of this wondrous duo is Laura Prudhomme. 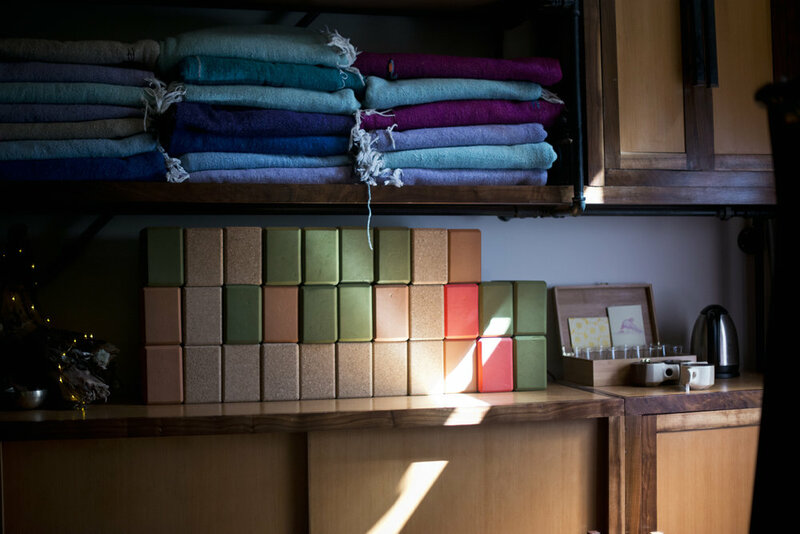 Soft, slow, and ardently creative, Laura's yoga is steeped in a heart-centered tradition. Together, these women blend movement with metaphor, breath, laughter, and bodywork. 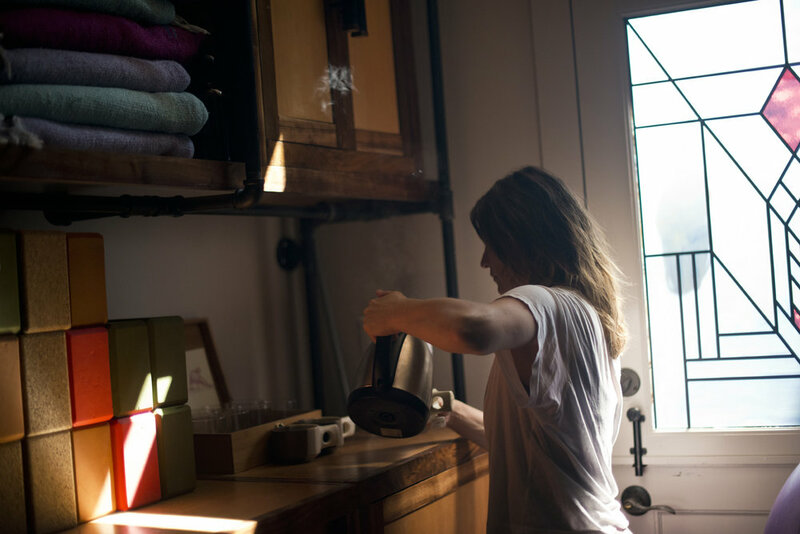 I first discovered Laura and Beattie by stumbling into their "Align and Refine" class. Imagine the most delicious yoga session where as you move to the low, liquid voice of an experienced teacher, another beatific bodyworker is weaving her way through the room. When she gets to you, she makes deft adjustments that feel like whole-body hugs, integrating your entire somatic structure and coaxing a deep exhale that you would not have been able to experience on your own. That's Loving Fiercely. What these women create together is perhaps the most curative, reparative, and stress-melting yoga I have ever known. "When Beattie and I met six years ago, she was studying structural integration, learning how lines of fascia affect movement, and I was studying Anusara yoga which was all about alignment and has this language of loops and spirals," says Laura. "We realized we were talking about the same thing, just different modalities." In 2015, Beattie and Laura opened a studio together. Supported by a loyal community of students and friends, the pair held a crowd-funding effort and raised the money necessary to build out the space for Studio 1423. Tucked behind a craftsman house in a garden in Madrona, their door opened to students on Valentine's Day. "I think my twenty-something self walking into this place would have been in awe," observes Beattie. "Like, whoa. Women own this." 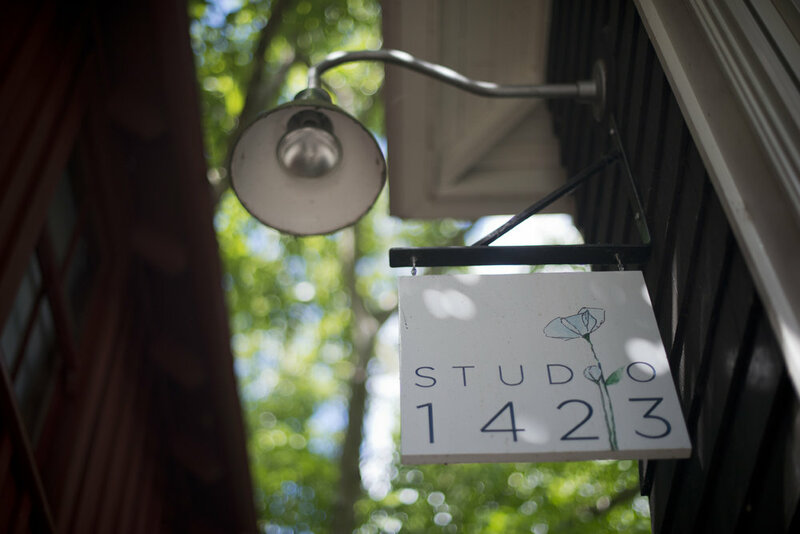 Everything seemed to fall into place for Studio 1423 to come to life, they tell me. As if the universe were saying yes. "We could not have done this all by ourselves. We were able to feel confident taking steps into the unknown because we were bolstered by a community of people willing to share their resources to support us," says Laura. "It feels important to us to honor this." "I don't really believe in protector-gods," Beattie notes, "But I do think about god as something that's there when you blow a wish dandelion. All those feathery spores are floating around us and we can just reach and grab them and be like 'Yes, thank you! Yes, thank you! Yes, thank you!." Laura offers another metaphor, as Beattie reaches into the air, pretending to pluck drifting wishes with irreverent gratitude. "It was like we were stepping into the water and the bridge appeared under our feet," she suggests. They look at each other and start cracking up. Loving Fiercely is a force for good, a twosome of mirth, and a testament to the power of women collaborating to share our talents and bring light. We at Lucia are honored to be carried on their shelves. Go visit, but be sure to sign up online first. Classes fill fast.